That’s the Oregon Zoo‘s new cougar cub, born in the zoo’s Portland facility. The cub and its mother, a Washington cougar named Chinook, haven’t been seen in public since the birth last month. 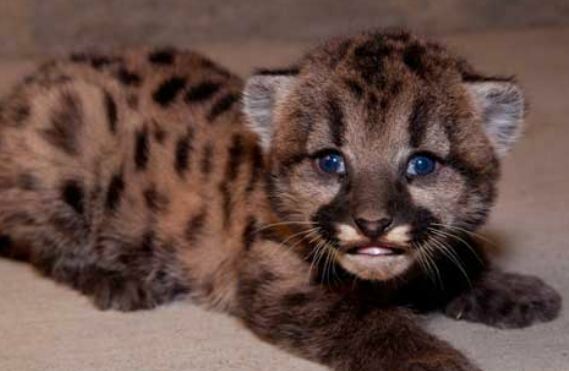 via Cute alert: Oregon Zoo shows off baby cougar.